Absences and withdrawals have marked the 2013 Sony Open Tennis event, but Andy Murray–to name just one–is restoring order to the proceedings. Murray earned his second consecutive straight-set win by dismissing Grigor Dimitrov 7-6(3), 6-3 during third-round action on Monday afternoon. Dimitrov, who lost to Murray in the Brisbane final earlier this season, got off to a fast start. The 21-year-old Bulgarian twice led by a break in the first set but ultimately he could not serve it out at 5-4. Dimitrov also squandered a mini-break advantage in the ensuing tiebreaker and from there he lost the second set in less dramatic fashion. Jo-Wilfried Tsonga followed suit on the show court and hammered Jarkko Nieminen 6-3, 6-3 in one hour and five minutes. Tsonga fought off the only two break points he faced to book a fourth-round showdown against Marin Cilic. Compared with Cilic (a straight-set victor over John Isner) and Tsonga, Tomas Berdych took a more roundabout way to the last eight. Berdych saved a match point at 3-5 in the second set with a second-serve aces and he survived another in the ensuing tiebreaker. One break in the final frame of play allowed the fourth-seeded Czech to complete his comeback win. As customary, the middle Sunday at Wimbledon serves as a no play holiday which is a welcomed respite. No words can fully underscore the uniqueness of the events that transpire this week. From a seemingly never ending first round match, to the champions of the last two years limping their way into the last 16, to the Queen making a rare appearance, to a scandal involving Victor Hanescu. Here’s a homage to the initial six days and a take on what’s ahead. The French are known for their flare and Nicolas Mahut is undoubtedly part of the establishment. In the second round of qualifying, Mahut outlasted his opponent 24-22 in the third set to advance. Then, Mahut went five sets to make it into the main draw. In the first round of the main draw, Mahut faced John Isner. On Tuesday, the match was interrupted due to darkness after the two split four sets. When the players returned on Wednesday, the night ended with a 59-59 draw in the fifth. Even the scoreboard was exhausted, crashing when the score got to 40+. 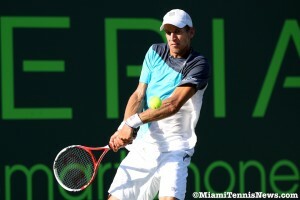 On Thursday, the match concluded when Isner hit two consecutive winners to break Mahut and grab a 70-68 victory. The encounter which lasted 11 hours and 5 minutes, shattered all previous records and redefined the meaning of marathon match. The fifth set alone spanned 8 hours and 11 minutes. However, despite a full day’s rest, Isner could not recuperate. The next round, Thiemo De Bakker, who won his prior round 16-14, dismissed a depleted Isner in just 1hour 14 minutes. For Isner, the physical consequences may reverberate for months. While defending champion Roger Federer did not go to such extremes, it was a struggle to survive nevertheless. Federer was nearly a spectator as 60th ranked Alejandro Falla forced Federer to climb out of a two sets to love deficit, even serving for the match. With a bit of “luck” as Federer put it, he moved on. The Swiss’ second round was also tough as qualifier Ilijac Bozoljac prevailed in the second set tiebreaker. Federer carried the match by capturing the fourth set tiebreaker. The third round, Federer played close to flawlessly against Arnaud Clement. Rafael Nadal also willed himself to advance. After a routine initial round, Nadal required five sets the second and third round against Robin Haase and Philipp Petzschener respectively. More importantly, Nadal had a flare up of his niggling knee problem and was treated for elbow issue. Following a five setter with Oliver Rochus, Novak Djokovic thumped his next opponents Taylor Dent and Albert Montanes in the subsequent rounds. British hopeful Andy Murray has been efficient, booting his counterparts in straight sets. Even the Queen’s first appearance at Wimbledon since 1977 did not distract her subject as Murray dispatched Jarkko Nieminen in the second round. After an uncomplicated primary round, Andy Roddick was rattled a bit by Michael Llodra and Philipp Kohlschreiber the next rounds, pushed to four sets by each. Roddick has friendly company into the second week as Sam Querrey secured a fourth round berth after a five set tussle with Xavier Malisse. Unsurprisingly, his second tournament back from injury, Nikolay Davydenko fell in the second round. Shocking though was Fernando Verdasco, the 8th seed, Marin Cilic, the 11th seed, Marcos Baghdatis, the 24th seed, and Stanislas Wawrinka, the 20th seed, all exiting their first day out. Robin Soderling, the 6th seed, has been on cue this week. The Swede has sailed through his matches, duration under two hours. His first event since his back injury, Jo-Wilfried Tsonga’s performance has been mixed. In the second round, Tsonga went five sets after having a two sets to none lead against Alexandr Dolgopolov. Yet, the following round, Tsonga cruised against qualifier Tobias Kamke. This tournament has seen a revival of the French veterans. Paul-Henri Mathieu knocked out 13th seed Mikhail Youzhny and De Bakker in the second and third round respectively to earn a spot in the final 16 at a major for the first time since 2008. Also, Julien Benneteau is into the second week after surviving two five set matches. Conversely, Gael Monfils had his fortnight cut short by Lleyton Hewitt in the third round. Monfils was no match for Hewitt who recently beat Federer in Halle. The Aussie is grooving on grass despite two hip surgeries. On Sunday, the 2010 French Open gets underway. Before the first ball is struck at Roland Garros, here’s a taste of how the proceedings may unravel on the gentlemen’s side. Since 2006, Rafael Nadal and Roger Federer had made it a habit of contesting for the trophy on the final Sunday. Last year, Robin Soderling interrupted that cycle by ousting Nadal in the fourth round. After descending a wee bit in the rankings, with a record three Masters clay court titles, Nadal returned to his familiar spot at number two this week. Therefore, this sets up the possibility of a final featuring defending champion Federer and his old nemesis Nadal. By far, Nadal has been the best clay court player this season. As such, it’s almost a given penciling his name as a finalist. In examining the draw, Nadal, the top seed in the bottom section, appears to have a green line through the round of 16. In the quarterfinals, the Spaniard could see slight resistance from fellow countrymen Fernando Versdasco and Nicolas Almagro. The latter in particular competed well against Nadal in Madrid. Still, Nadal should pull through. Also in the bottom half are Andy Roddick and Novak Djokovic, potential semifinal adversaries for Nadal. Last year, Roddick had a career best showing in Paris by reaching the round of 16. In the first round, Roddick takes on veteran Jarkko Nieminen, then, a possible third round match with Juan Monaco. Hence, the American may say his goodbyes to Paris early. Assuming Roddick advances to the quarters, he could face the second best performer on clay this year, David Ferrer. Considering that Roddick has not competed since the Sony Ericsson Open and with clay being his least successful surface, it hard to imagine Roddick progressing to the second week. Despite a clay title and two other finals, Djokovic went down in the third round in 2009. This year, Djokovic withdrew early in Serbia and his best result was the semifinals in Monte-Carlo. Consequently, for Djokovic, resting may be a blessing. On the other hand, it could be a curse, not allowing the Serb to be clay fit. With former French Open winner Juan Carlos Ferrero potentially as a third round opponent and Ferrer in the quarterfinals, the third seed could have his hands full before getting a crack at Nadal. For 21 year old Ernests Gulbis, the game plan was simple, overpower his 28 year old opponent with big serves and ground strokes. In executing this strategy well, Gulbis downed Jarkko Nieminen 6-4, 6-4 in the semifinals at the Delray Beach International Tennis Championships to reach his first career ATP final. After a love hold to open the match, Nieminen was in trouble the second game. Unable to capitalize on two game points, Jarkko faced a fourth break point when he misfired on a forehand crosscourt. With a backhand down the line winner, Gulbis secured the break for 2-1. Despite difficulties, Gulbis went on to consolidate for a 3-1 edge. Serving for the set at 5-4, with a couple of errors, Gulbis saw two set points disappear. However, by calling on some booming serves, Gulbis carried the set. The second set had a similar feel to the first at the start. Subsequent to Nieminen winning the first game, down 0-30 in his second service game, he arrived at game point. But, with Gulbis putting on the squeeze on the second serve, Nieminen eyed another break point. With a spectacularly angled backhand return, Ernests forced a mistake from Jarkko and pocketed the break for 2-1. Then, with a banal game, Gulbis extended his lead to 3-1. Yet, serving at 3-2, Gulbis dumped two backhands into the net to give Nieminen double break point. Still edgy and frustrated in believing he was cheated out of an ace the prior point, Gulbis double faulted to equalize the set. His next service game though, Gulbis pushed the calm button and quickly squared the set at 4 all. Then, Gulbis swiftly regained the momentum. With Nieminen up 30-0, Gulbis bottled his urge to pull the trigger early and provoked his opponent into four consecutive errors, thereby capturing the break. Now, one game away from the finish line, Gulbis’ potential victory lap was interrupted by rain. When play resumed, after going down love-15, Gulbis found his rhythm on first serves after failing to connect initially. After getting to double match point, Gulbis sealed the win with an ace. Gulbis stated he was “happy” to prevail and that he feels “fit for [tomorrow’s] match”. When asked how he killed the three hour interlude, Gulbis replied “I ate, played basketball, did physio”. In reference to his new coach Hernan Gumy, Gulbis characterizes him as “a great guy and great coach . . . He’s helped every aspect of my game”. Gulbis awaits the result of the Mardy Fish and Ivo Karlovic semifinal which takes place later tonight. The 17th session of the Delray Beach Championships, an ATP 250 World Tour event, will take place from February 21 thru March 1, 2009 at the Delray Beach Stadium and Tennis Center. The 32 person singles’ draw features Tommy Haas, the 2006 champion along with Cypriot Marcos Baghdatis, the 2006 Australian Open finalist. Other familiar names taking the court include Americans Mardy Fish, Robby Ginepri and the always charismatic, Vince Spadea. Last year, 19-year-old Japanese wildcard, Kei Nishikori, stole the spotlight coming from nowhere to beat world number 12, James Blake. This year, talented 20-year-old Ernests Gulbis will be looking for the same result against more senior players such as Guillermo Canas and Jarkko Nieminen. Accenting the doubles are Mike and Bob Bryan fresh off their seventh majors win in Australia and their reinstatement at number one. These two are looking to avenge their lost in the finals last year. A lethal combination, the Bryans, is one of the tournament’s biggest attractions. The clock is ticking; the championships are just a couple of weeks away. For more details and to buy tickets, visit www.YellowTennisBall.com or call (561) 330-6000. Here’s your chance to see the action first hand. Don’t delay! In the finals of the Medibank International in Sydney, Argentine David Nalbandian fought off Finn Jarkko Nieminen to claim his tenth career title 6-3, 6-7, 6-2. After dismissing two break points in his opening service game, Nalbandian used his trademark backhand to set up the points and effortlessly win his next service games. With Nieminen on deck at 2-3, Nalbandian made a forehand down the line winner and caused his opponent to overshoot for triple break point. Later, with a forehand winner, Nalbandian jumped ahead 4-2. With a high percentage of first serve and by perpetually changing the ball’s direction, David took the set in 35 minutes. To start the second set, with a backhand error, Jarkko went down break point. Subsequently, Nieminen netted a forehand to trail 0-1. The Argentine consolidated the break with a backhand volley winner. Although Nalbandian outplayed his rival in every department, for example using the combination of a lob volley and dropshot to win a point, with the minor adjustment of hugging the baseline as the set progressed, Nieminen stayed within striking distance. As Nalbandian served for the match at 5-4, he committed two forehand errors on deep returns by Nieminen to face triple break point. The Finn capitalized when the Argentine’s money stroke, the backhand down the line, went long. Thereafter, Nalbandian erased three break points to send the set to a tiebreak. Initially, neither player could hold serve. After Nieminen took a 2-1 mini-break advantage with a backhand down the line winner, he flirted too closely to the line and gave it back. With a forehand crosscourt winner, Nalbandian went ahead 3-2. But, he also forfeited his lead on the following point. At 9 all, Nalbandian elected not to play a ball he assumed would go long; the ball curled in for a winner giving Jarkko a mini-break. With a good serve, Jarkko wrestled an error and the set from David.